This article provides in-depth fundamental analysis of Balaji Amines Ltd, an Indian manufacturer of Amines and its derivatives (methylamine, ethylamine, DMF etc.) along with running a five-star hotel. I am trying to analyse one company Balaji Amines Ltd using the principles learned during the workshop. Please provide your valuable inputs on my analysis given below. Balaji Amines Ltd is an ISO 9001: 2008 certified company, specialised in manufacturing Methylamines, Ethylamine, Derivatives of Specialty Chemicals and Natural Products. It also owns a 5-star Hotel in Solapur – Balaji Sarovar Premier. Balaji Amines Ltd enjoys a leadership position in many of its products like monomethylamine (MMA), Dimethylamine (DMA), Trimethylamine (TMA), DimethylAmino Ethanol (DMAE), Mono Methyl Amino Ethanol etc. Balaji Amines Ltd’s state-of-the-art manufacturing facility is located at Tamalwadi Village, near Solapur (Maharashtra State, India). The facility is fully equipped with the latest technology like digital computerized controlled systems, which facilitates the control of operations from the control room. In addition, Balaji Amines Ltd possesses excellent R&D facilities and laboratory, which helps in conducting basic research and also to fine tune the process. Balaji Amines Ltd has in total three state of the art units, two near Solapur and one near Hyderabad. Balaji Amines Ltd has a very high market share of DMAHCL, which is used in the making of Metformin, a diabetic drug. A lot of information about the company, its products and history can be read from the company website. Sales growth in past 10 years has been good at 13 % (218 cr to 668 cr). However, the sales growth has declined in recent past (8% in last 5yrs and 3% in last 3 years). TTM sales growth is at 10% which is a good sign once again. The OP margins are 17-21% range which is good. Since the main RM are linked to crude so price fluctuation is expected. Apart from RM cost decline, the company has been continuously bringing in process efficiencies to increase the margins. The same can be read in company’s latest AR. Continuous R&D initiatives have resulted in excellent results during the year with improved consumption co-efficiencies of raw materials, utilities and utilization of resources. Your company has become one of the leaders in Specialty Chemicals in the International Specialty Chemical arena and plans to be on the top of the table in the years to come in India. RM cost as a percentage of sales has come down to 51.82% from past leading to higher margins recently. The PAT has grown at a healthy rate of 23% in last 10 years. The current NPM > 10% is once again a good sign. The company has been consistently paying out tax at the corporate rate of 33-34 % which is again a good sign. The total leverage (Debt to equity) has been consistently brought down from 1.5 to 0.3 which means less interest outgo for the company for subsequent years. The Cumulative PAT for last 10 years is 359 crores as against the cCFO of 541 crores. This indicates that company has been able to convert its net Profits to cash in a healthy fashion. The company has generated FCF of around Rs 169 crores in last 10 years. The FCF as % of CFO during last ten years stands at 31%. Total earnings retained in last 10 years is 326 crores and total market cap increase is 968 crores. In a nutshell, the company has been doing absolutely fine on a financial basis for last 10 years based on all of the above parameters. Balaji Amines Ltd is available at a Market cap of 1,335 crores with TTM PAT of 82 crores. The current P/E stands at 16 and which boils down to an earnings yield of 6.25 %. Balaji Amines Ltd has been on an average has been paying out 10% of its profits as dividends during last 10 years which again is a good sign. Balaji Amines Ltd is promoted by Mr A Prathap Reddy. He started the company operations in 1988. He received an award in World Class Manufacturing and Operational Excellence for the year 2011 and in the Manufacturing Leadership Awards & Conclave 2012 instituted by the Industry 2.0 magazine. The promoters hold 54.46% of Balaji Amines Ltd, a slight increase over last one year. 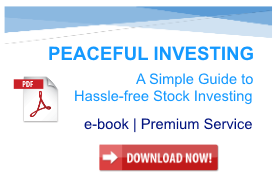 There are almost negligible Institutional or MF holdings in the company which is good for the individual investor. 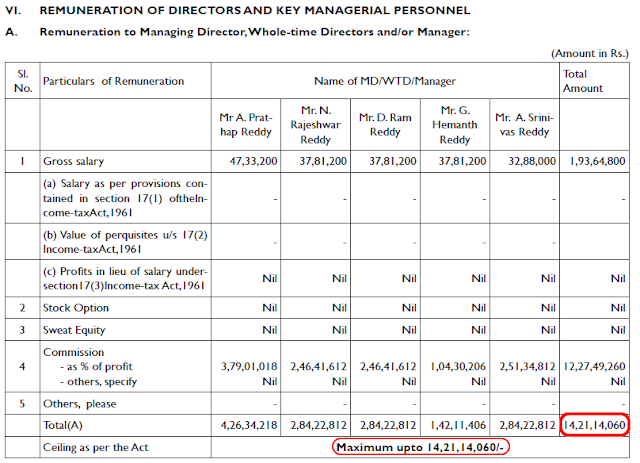 The total salary including commissions drawn by Directors and KMP is 14.21 crores which is the max allowed by the act. I think this is on the higher side and a negative for the company. The management has been consistently adding value-added products with higher margins year over year as can be seen from the latest AR. The results of these projects will be yielding fruits in the years to come. Balaji Amines Ltd has 2 subsidiaries viz. Bhagyanagar Chemicals Ltd. a 100% subsidiary Company and Balaji Greentech Products Ltd. a substantially owned subsidiary. Balaji Greentech Products Ltd (BGPL) is into manufacturing of energy efficient lamps and components. The company manufactures, supplies a comprehensive range of Compact Fluorescent Lamps (CFL). During the year, Balaji Amines Ltd has initiated merger process of its subsidiaries as approved by the respective Boards. Present status of the merger is awaiting for NOC /approval of stock exchanges for the proposed merger. 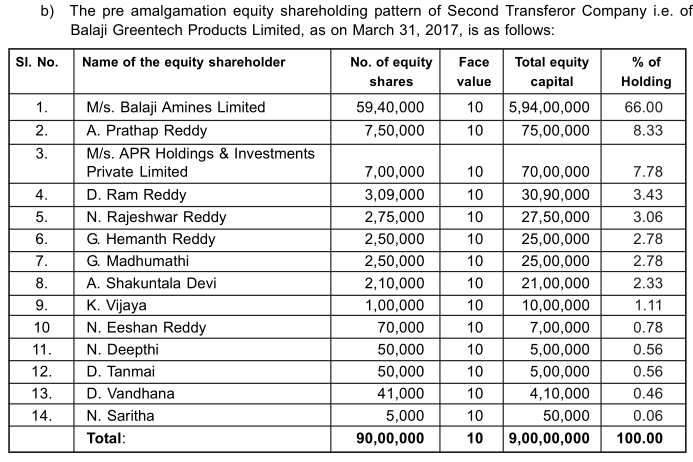 It’s very strange that Balaji Amines Ltd has been investing in Balaji Greentech products, which owes BAL Rs 27 odd crores. The CFL business has been losing money year over year. 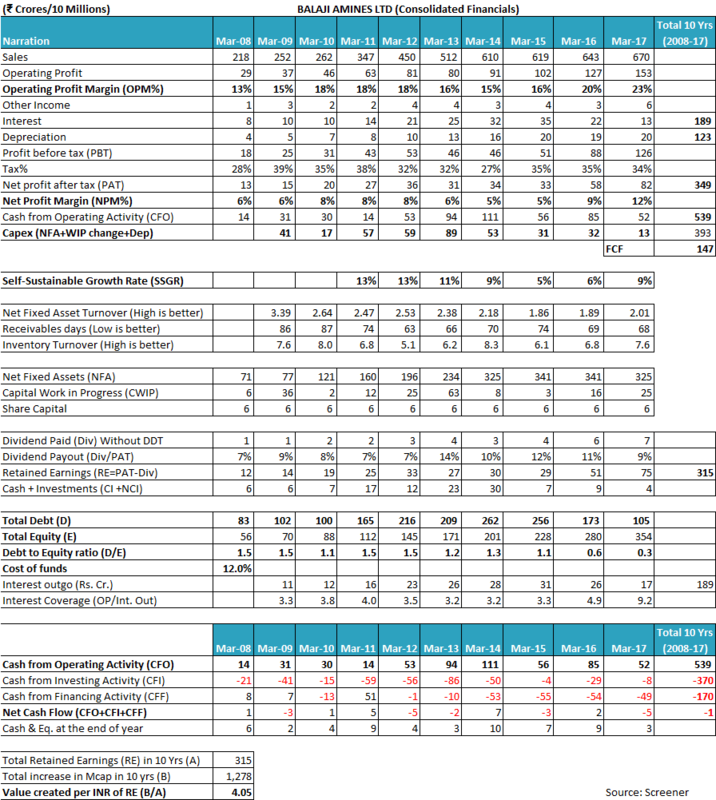 Again a negative on management part with poor capital allocation. In the past, it has been trying to sell off Balaji Greentech CFL business as can be read from the web but the latest AR mention about merging the subsidiaries into the parent. The hotel business is at least making money at EBIDTA level from 2016-17 and has good potential due to lack of similar hotels in Solapur area. Balaji Amines Ltd is a leading manufacturer of speciality and fine chemicals and amines and its derivatives. The Company’s exports have been increasing over the years and they stood around 17.75% of total sales. Over the years, Balaji Amines Ltd has improved its performance both in value and volume growth. A lot of it is commodity chemicals and the only moat around the business is bringing cost efficiencies via forwarding and backward integrations and R&D spending on discovering more value-added speciality chemicals with higher margins and demand. I see both of these activities happening in Balaji Amines Ltd year over year. 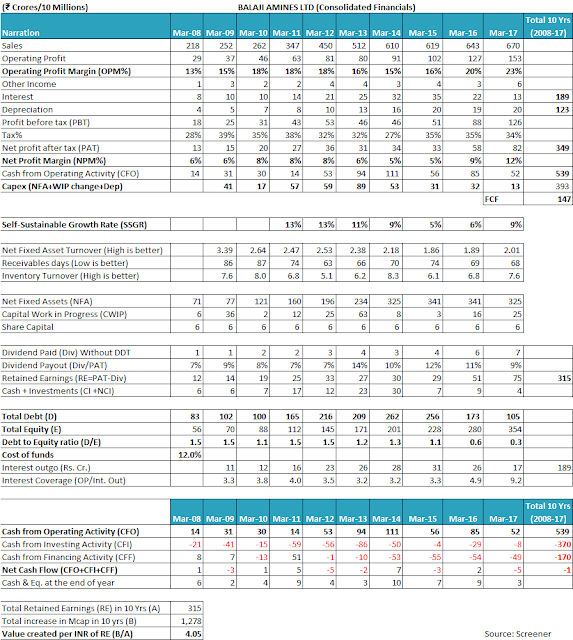 Balaji Amines Ltd looks like a decent company growing at a healthy rate while improving on the margins, value and profitability front. The only negatives are the promoters’ investment in subsidiaries which are loss-making entities. Thanks for sharing the analysis of Balaji Amines Ltd with us! 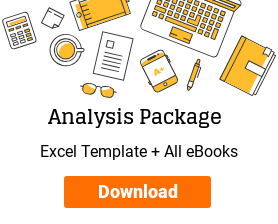 We appreciate the time & effort spent by you in the analysis. Let us first try to analyse the financial performance of Balaji Amines Ltd over last 10 years. An investor would note that Balaji Amines Ltd has had two subsidiaries, Bhagyanagar Chemicals Ltd (100% shareholding) and Balaji Greentech Products Ltd (66% shareholding). Therefore, the standalone financials of Balaji Amines Ltd show only part of the business and financial position of the company at any point of time. We believe that while analysing any company, an investor should always look at the company as a whole and focus on financials which represent the business picture of the entire group including operations and assets. Therefore, while analysing Balaji Amines Ltd, we have analysed the consolidated financials of the company for FY2008-17. Balaji Amines Ltd has been growing its sales since last 10 years (FY2008-17) at a rate of about 10-12% year on year from ₹218 cr. in FY2008 to ₹670 cr. in FY2017. An investor would notice that the sales growth achieved by Balaji Amines Ltd has been associated with fluctuating operating profit margins (OPM). OPM increased from 13.4% in FY2008 to 18.2% in FY2011 and then declined to 14.9% in FY2014 and has now again increased to 22.8% in FY2017. The fluctuations in the operating profit margin indicate that Balaji Amines Ltd has low bargaining power over its customers and as a result, it is not able to pass on the changes in the raw material costs to its end customers on a timely basis. This situation is usually faced by companies, which operate in products, which are a commodity in nature. Balaji Amines Ltd is operating in a tough business environment, which is marked by intense competition from suppliers across the world and it remains to be seen, whether the company would be able to protect its profitability margins going ahead. Balaji Amines Ltd has approached the Govt. authorities with requests to impose anti-dumping duty on imports from countries, which are selling their products (especially Di-methyl formamide DMF) in India at below the cost of production. Due to such tough business environment, it does not come as a surprise to investors that another player in the DMF business in India has shut shop. However, as mentioned by the management in conference calls, the application is still under consideration and the anti-dumping duty is yet to be levied on DMF. An investor should keep monitoring Balaji Amines Ltd to keep a close watch on the OPM of the company and the developments related to dumping of products by its overseas competitors. The net profit margin (NPM) of Balaji Amines Ltd has been following the trend of the operating profit margin (OPM). NPM increased from 6% in FY2008 to 7.9% in FY2012 only to decline to 5.4% in FY2015 and it has since improved to 12.3% in FY2017. The key reason for the decline in the NPM in the past apart from the changes in the OPM in the corresponding years has been the increased interest expense due to debt funding capital expenditure undertaken by the company over FY2011-2014. The tax payout ratio of Balaji Amines Ltd, over the years, had been around the standard corporate tax rate prevalent in India. While assessing the net fixed asset turnover (NFAT) for Balaji Amines Ltd, an investor would notice that the NFAT of the company has been declining over the years. NFAT has declined from 3.39 in FY2009 to 1.86 in FY2015. The key reason for the decline in NFAT over the years has been the continued capital expenditure (capex) done by the company over these years to augment the manufacturing capacity of its Amines business as well as the capex done on the five-star hotel in Solapur, Maharashtra. An investor would notice that the company has created significant capacity in Amines segment as well as in the Hotel segment, which is yet to be fully utilized. As per the management communications, the capacity addition for producing DMF, which was commission in 2013 is still witnessing very low utilization. As a result, the NFAT of the company has witnessed a decline because the capex investments have not yet started contributing the sales at their optimal levels. In the recent year, the NFAT has improved from 1.86 in FY2015 to 2.01 in FY2017, which seems the result of no significant capex in last 2 years as well as the operationalization of the hotel property, which has started contributing to the sales in last 2-3 years. Looking at the inventory turnover ratio (ITR) of Balaji Amines Ltd, an investor would notice that ITR of the company has been fluctuating over the years. ITR was 8 in FY2010, which declined to 5.1 in FY2012. ITR improved to 8.3 in FY2014 only to decline again to 6.1 the very next year in FY2015. The ITR has now improved to 7.6 in FY2017. Such fluctuating inventory turnover ratio highlights the uncertainties in the business environment being faced by Balaji Amines Ltd. It seems that the uncertainties faced by the company in demand forecasting, product pricing, the profitability of next container of produced goods etc. do not allow the company to have a stable state of operations. Such uncertainties, in turn, reflect in the widely fluctuating inventory levels with the company. An investor would notice that despite continued growth in sales revenue, the inventory levels of Balaji Amines Ltd have been fluctuating a lot over the years. Inventory level increased from ₹32 cr. 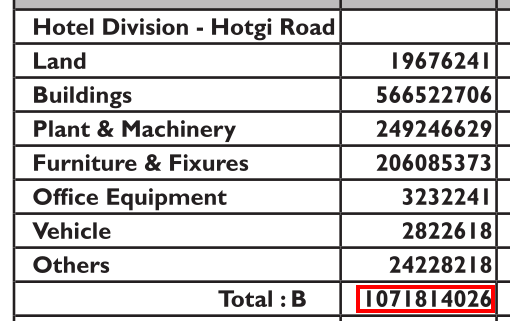 in FY2010 to ₹107 cr. in FY2012 only to decline to ₹57 cr. in FY2013. Inventory levels again increased to ₹112 cr. in FY2015 and then declined to ₹78 cr. in FY2016. Such fluctuations in the inventory position reflect the uncertainties in the business dynamics/model of Balaji Amines Ltd. The above discussions by the management also highlight the continued uncertainty over the profitability margins of the company going ahead in future. When an investor analyses the receivables days of Balaji Amines Ltd, then the investor would notice that the receivables days of the company have been improving over the years, though there have been fluctuations in between. The receivables days have improved from 87 days in FY2010 to 68 days in FY2017. However, it seems that over the years, Balaji Amines Ltd has been able to convert reported a profit after tax (PAT) into cash flow from operations (CFO). As a result, the company has reported a cumulative cash flow from operations (cCFO) of ₹539 cr over last 10 years (FY2008-17) against cumulative net profit after tax (cPAT) of ₹349 cr. An investor would notice that the cCFO is remarkably higher than cPAT for Balaji Amines Ltd due to depreciation and interest expenses, which are significant for last 10 years (FY2008-17). Balaji Amines Ltd has had cumulative depreciation of ₹123 cr and interest expense of ₹189 cr. over FY2008-17, which is added back to cPAT to arrive at cCFO over these years. The investor would notice that Balaji Amines Ltd has witnessed an SSGR ranging from 9-11% over the years. An investor would appreciate that the SSGR of Balaji Amines Ltd is about 9-11% whereas it has been growing at a rate about 10-12% over the years. As a result, the investor would appreciate that the company has been able to fund its growth while keeping the debt levels under check. Balaji Amines Ltd has been able to increase its sales from ₹218 cr. in FY2008 to ₹670 cr. in FY2017 by doing a capex of ₹393 cr. while its debt levels increased by ₹22 cr. from ₹83 cr. in FY2008 to ₹105 cr. in FY2017. If an investor analyses the total cumulative financial performance of Balaji Amines Ltd over last 10 years (FY2008-17), then she would notice that the company had met the entire capex of ₹393 cr. from its cumulative CFO of ₹539 cr. during the same period. As a result, after meeting entire capex, Balaji Amines Ltd had a free cash flow (FCF) of ₹146 cr. Balaji Amines Ltd seems to have used the FCF to meet the interest expense over the years and to pay dividends to shareholders and it has used the increase in debt of ₹22 cr. over FY2008-17 to bridge the cash flow gap. Balaji Amines Ltd has been able to keep its debt levels under check and has been able to reduce the overall debt levels from ₹262 cr. 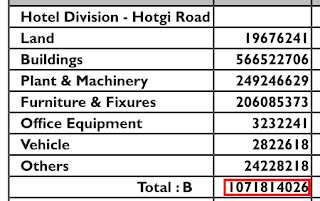 in FY2014 to ₹105 cr. in FY2017. The ability to keep the leverage under control while doing the necessary capex has been appreciated by credit rating agency and as a result, the credit rating of Balaji Amines Ltd has been upgraded by the rating agency, India Ratings, from A- to A in November 2016. It seems that the markets have appreciated that Balaji Amines Ltd has been able to keep conservative cash flow position along the growth path and as a result, its market capitalization has increased by about ₹1,278 cr. over last 10 years against the retained earnings of about ₹315 cr. over last 10 years. It amounts to the creation of a wealth of about ₹4 for each ₹1 of earnings retained by the company. An investor would notice that the out of the five members of Reddy family, who hold the executive positions in the board of Balaji Amines Ltd, three members: Mr. A. Prathap Reddy, Mr. N. Rajeshwar Reddy and Mr. D. Ram Reddy are with the company from its initial days of 1988-89. The two other members Mr. A. Srinivas Reddy and Mr. G. Hemanth Reddy who are son and son-in-law of Mr. A. Prathap Reddy respectively, have joined the company in 2013 and 2008 respectively. The presence of two generations of promoters’ family in the company indicates that the promoters are working with a succession plan for the company. However, it remains to be seen how the well the succession planning goes on in future. It should be one of the key parameters, which should be assessed by the investor while making an investment decision in the company. An investor would notice that Balaji Amines Ltd has been able to expand its manufacturing capacity on a regular basis. The company has been adding incremental capacity for existing products as well as create capacity for new products after every 2-3 years. The promoters, put together, have drawn the maximum possible remuneration allowed by the law, down to the last rupee. As per the Companies Act 2013, the maximum remuneration allowed for managing directors and whole time directors is ₹14,21,14,060/- and the members of the Reddy family have cumulatively drawn the remuneration of ₹14,21,14,060/-. Three members of the family: Mr. N. Rajeshwar Reddy, Mr. D. Ram Reddy and Mr. A. Srinivas Reddy have drawn an exactly equal salary of ₹2,84,22,812/-. In the corporate world, where remuneration is usually linked to the value added by a person to the corporation, it might indicate that all the three persons mentioned above had added exactly equal value to the company. However, when an investor notices that all the three persons are of different age and experience including the fact that Mr. A Srinivas Reddy joined Balaji Amines Ltd in 2013, much later than the other two who joined the company in 1988-89, the it becomes difficult to accept that all the three persons would have added exactly equal value to the company and shareholders over FY2017 to warrant exactly equal remuneration. Therefore, it is recommended that investors should keep this aspect in mind while investing in the company and may seek clarification from the company about the remuneration assessment. As per our experience of analysing different companies, we believe that the investments done by listed companies in partnership/venture with promoter group, many times, do not prove to be in the best interests of minority shareholders. This is because if the venture is profitable, then the promoters get a higher share of the economic benefits in the venture by way of their additional shareholding in the venture over and above the interest through the shares held by the listed entity. 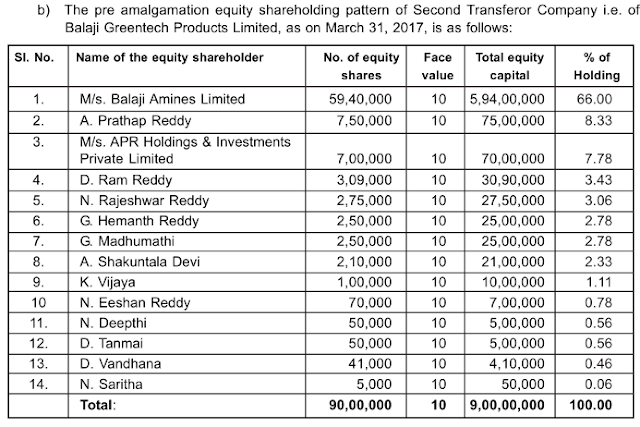 To illustrate, if in BGPL, 66% stake is held by the listed entity Balaji Amines Ltd (in which at March 31, 2017, promoters own 54.46% stake and minority shareholders own 45.54% stake) and 34% stake is held by Reddy family, then the net stake of Reddy family in BGPL would be 69.94% (66%*0.5446 + 34%) and the stake of minority shareholders in BGPL would be only 30.06% (66%*0.4554 OR 100%-69.94%). Instead, if the investment in BGPL would have been done entirely by the listed entity, Balaji Amines Ltd, then the stake of promoters and minority shareholders in BGPL would have been 54.45% and 45.54% respectively, which is the same proportion held by them in the listed entity Balaji Amines Ltd.
An investor would appreciate that in both the above scenarios, i.e. whether the investment in BGPL is done by Balaji Amines Ltd entirely or in collaboration with promoters, there is not going to be any effective change in the way in which the operations of BGPL are going to be managed. In both the cases, it is the members of the promoter family with the board (i.e. same independent directors), who are going to take all the operational decisions for BGPL. The only difference in part investment by promoters is that they get a higher share in the economic benefit by putting in the same level of efforts to manage the venture. In many cases, when the venture is successful, then the promoters keep enjoying the higher economic benefits, whereas in cases, when the venture does not do well, then the listed entity has to bail out the venture. Therefore, an investor would appreciate that credit rating agency IndRa put the entire burden of debt payments of the weak entity (BGPL) on Balaji Amines Ltd, which would have the impact of lowering the assessed credit strength of Balaji Amines Ltd. This treatment by credit rating agency treats as if Balaji Amines Ltd holds 100% shares in the BGPL and not 66%, which is the actual shareholding. Effectively, minority shareholders have to bear the impact of 45.54% share of BGPL instead of 30.06% share, which is their actual indirect stake as calculated above. Moreover, when it finally decided to close the operations of BGPL due to continued losses, the first option, which was thought was to sell the company/its assets to any third party. However, when no buyer could be found for BGPL, then it was decided to merge BGPL with Balaji Amines Ltd. This effectively means that Balaji Amines Ltd bought BGPL when no other buyer was found. An investor would appreciate that the market value of land keeps on varying depending on the person valuing it, time of valuation and whether there is any real buyer available to pay the quoted price or not. Therefore, if the market value of the land parcel owned by BGPL changes, then the negative value of BGPL also keeps on fluctuating. 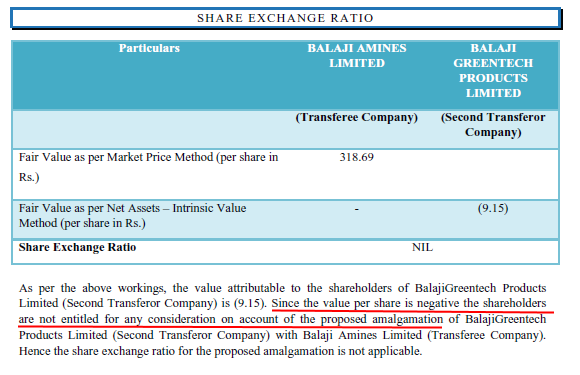 So it might seem that the shareholders of Balaji Amines Ltd are getting the company BGPL and its assets for free. However, it is to be noted that BGPL does not have any positive value. It has a negative value of ₹8.23 cr. Therefore, effectively, after the amalgamation, the negative value/burden of ₹8.23 cr. would be owned up by all the shareholders of Balaji Amines Ltd in proportion to their shareholding in Balaji Amines Ltd.
An investor would appreciate that this situation indicates that the minority shareholders of Balaji Amines Ltd would have to bear the 45.54% of the negative value of BGPL (i.e. ₹3.75 cr. = 8.23*0.4554) and not the 30.06% (₹2.47 cr. = 8.23*0.3006) of their indirect shareholding of BGPL through the 66% stake held by Balaji Amines Ltd in BGPL and the promoters might end up owning 55.56% of the burden of BGPL and not the 69.94%, which was their effective direct and indirect holding of BGPL. Therefore, an investor would appreciate that in cases where promoters enter into partnerships/venture with their own listed entity, then it is a situation that should be assessed by minority shareholders with caution. This is because many times, for all practical purpose, the listed entity ends up owning the entire burden when things go wrong like infusing funds to repay debt, buying the company by way of amalgamation etc. In case of BGPL, an investor would expect that Balaji Amines Ltd and the promoter family would bring in funds in the ratio of 66:34 to support BGPL. Whereas it seems that only the listed entity Balaji Amines Ltd had put in additional funds to support the company because all the investment in Cumulative Redeemable Preference Shares of ₹23.5 cr. is done by Balaji Amines Ltd and none of it is by the promoter family. Whether or not the listed entity has explicitly provided guarantees on behalf of the venture, it has to bear the full impact of the liabilities of the venture like the credit rating assessment by India Ratings by merging the liabilities of BGPL with cash flows of Balaji Amines Ltd. 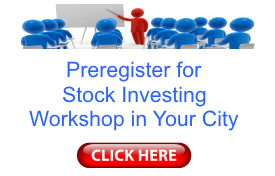 Whereas in cases when the venture turns profitable and does well, then the minority shareholders do not get the return in proportion to the risk taken by them because their indirect shareholding in the venture is lower than their stake in the listed entity, which is the result of the shares held by promoters directly in the venture as calculated above. The hotel is operational for last three full financial years i.e. FY2015, FY2016 and FY2017. Therefore, an investor would appreciate that the initial period required to ramp up the utilization is over and the hotel business should have reached its steady state of operations by now. As per FY2017 annual report, the hotel division has contributed to a revenue of ₹15.9 cr. in FY2017. The section on segmental information at page 87 of the FY2017 annual report of Balaji Amines Ltd indicates that the hotel division has reported a profit before tax of negative ₹3 cr. i.e. the hotel division has recorded a loss of ₹3 cr. before tax adjustments. The investment in the hotel business has been a capital allocation outside the core business of the company by Balaji Amines Ltd, which has led to revenue of ₹15.9 cr. on an investment of ₹107 cr. representing a fixed asset turnover of 0.15 (=15.9/107). 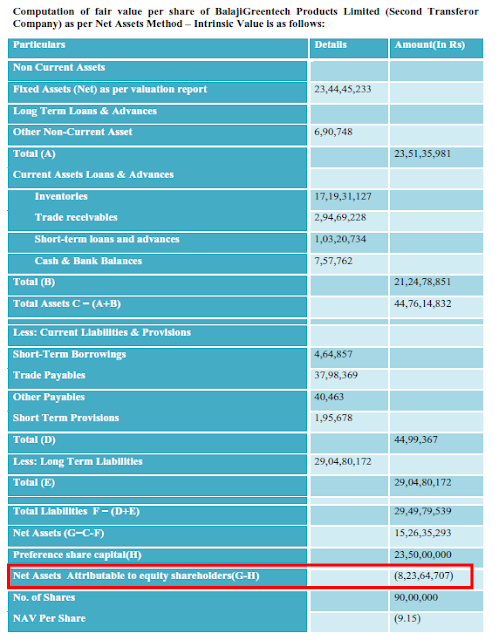 An investor would notice that the net fixed asset turnover of the core amines business of the company is about 2. Therefore, the expectations of investors are that a capital allocation of ₹107 cr. by the company should lead to a revenue of about ₹214 cr. per annum (= 107*2) with some net profit margin every year. 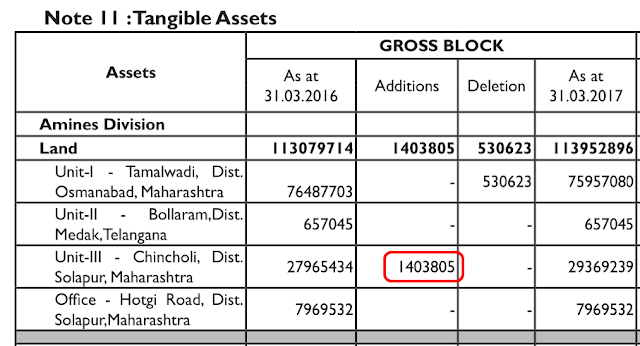 Assuming an NPM of 5-10% for any investment, it is expected that the capital allocation of ₹107 cr. should contribute a net profit of about ₹21.4 cr. (=214*10%) every year. However, the hotel investment done by the company is not able to report the revenue equal to the expected profit contribution levels. We believe that on a revenue & profit contribution perspective, the capital allocation decision of Balaji Amines Ltd of investment of ₹107 cr. in the hotel business, leaves a scope for improvement. Moreover, ₹107 cr. invested in debt mutual funds can easily provide a return of 8-9% before tax amounting to about ₹8.5-10 cr. per year, which is better than the losses currently being suffered by the Hotel. However, if the company has made this investment by taking a view on the estate prices in future and it aims to recover its investment by assuming to get higher property prices in future, then we believe that companies should avoid speculating in areas outside their expertise like real estate prices because there have been many cases where investments, which were done by investors solely to benefit from higher property prices in future have gone wrong. Balaji Amines Ltd has invested in wind power generation and currently has an installed capacity of about 6.5 MW for wind power generation. In-house generation of renewable energy is expected to cost lower than the power purchased from state electricity boards (grid). Therefore, whenever any company invests in renewable energy plants, it is expected that it would benefit from lower power & fuel costs than its competitors. 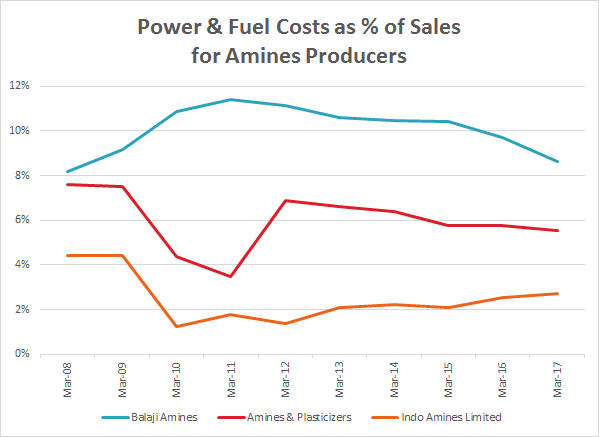 A comparative analysis of the power & fuel costs as percentage of sales of Balaji Amines Ltd with its peers: Amines & Plasticizers Ltd and Indo Amines Ltd indicate that Balaji Amines Ltd has the highest cost of power & fuel as a percentage of sales, which is almost 3 times of the cost of Indo Amines Ltd and 1.5 times of the cost of Amines & Plasticizers Ltd. Therefore, it is recommended that the investors may seek clarification from the company about its high power & fuel costs when compared to its peers. 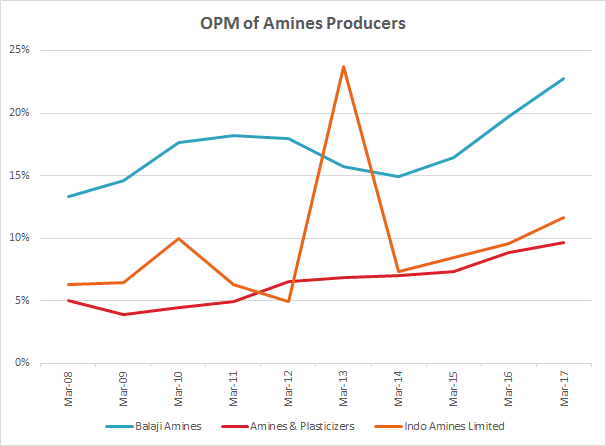 While analysing the profitability margins of Balaji Amines Ltd with its peers: Amines & Plasticizers Ltd and Indo Amines Ltd, an investor would notice that the operating profit margin (OPM) of Balaji Amines Ltd is very high when compared to its peers. The OPM of Balaji Amines Ltd is almost double than its peers. Therefore, it is expected that almost all the players in the Amines market would be getting similar end product prices from their customers. Therefore, the key determinant of differences in the OPM should be the efficiency in sourcing of raw material and other operating costs. 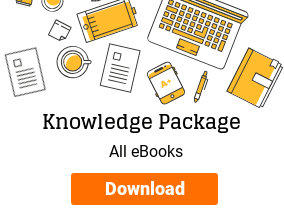 Looking at these sources of raw material and their pricing i.e. methanol contracts from Saudi Arabia, which is based on ICS for worldwide players, spot sourcing of ammonia and ethanol and in case of shortage of ethanol, importing it from the USA on ad-hoc basis indicates that almost all the local players in India would be getting these key raw materials at comparable prices. We believe that investor should analyse it further and seek clarification from Balaji Amines Ltd whether it is able to get these key raw materials at a substantial discount than the price paid by its competitors. This is because, on other cost efficiency parameters like power & fuel costs (as discussed above), Balaji Amines Ltd is depicting marked better performance to warrant an OPM, which is double than its peers. There might be other factors like forward and backward integration where outputs of one product may be used as inputs in other products being produced by Balaji Amines Ltd, which might contribute to higher OPM. 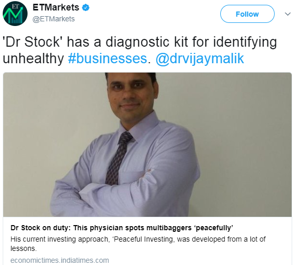 However, we believe that an investor should study the sources of higher OPM of Balaji Amines Ltd further to assess the exact reasons leading to double OPM than its peers and whether its competitors are also deploying those techniques. 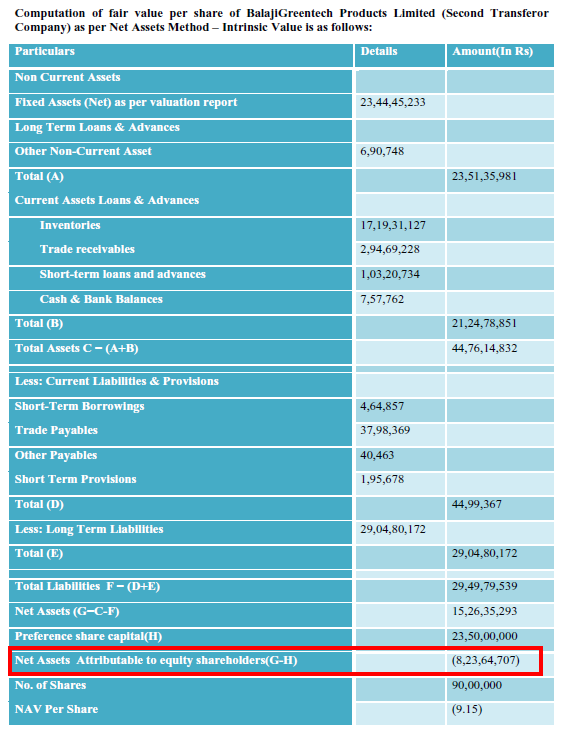 As per the secretarial audit report in the FY2017 annual report, page 27, Balaji Amines Ltd did not disclose the purchase of shares by one of the promoters to stock exchanges within the stipulated time. It indicates that the company needs to strengthen the operations procedures at its end to meet the statutory requirements. As per FY2017 annual report of Balaji Amines Ltd, page 93, the company had interest payments of ₹24 lac, which it had to pay before March 31, 2017, but it did not pay them in time. The company paid ₹18 lac worth of interest on April 1 and balance ₹6 lac of interest on April 3, 2017. An investor would appreciate that at the face of the reported financial numbers, Balaji Amines Ltd does not look like in a position of a liquidity crunch. It has been able to reduce debt over time from its internal accruals. Therefore, the incidence of delay in interest payments of ₹24 lac, which is a small amount when compared to the size of the company, seems to be a case of weak oversight and lack of efficient operational procedures. An investor would appreciate that incidences like delay in regulatory filing, delay in interest deposits of small amounts unnecessarily put the company on the wrong side of compliance requirements, which could have been easily avoided. Therefore, it seems that Balaji Amines Ltd should focus and improve its operational processes to ensure that such events should not be repeated in future. Currently (Oct. 22, 2017), Balaji Amines Ltd is available at a price to earnings (P/E) ratio of about 16 based on trailing 12 months earnings, which does not offer any margin of safety in the purchase price as described by Benjamin Graham in his book The Intelligent Investor. Overall, Balaji Amines Ltd seems to be a company, which has been growing at a moderate pace in a very challenging business environment, which is characterized by uncertain final product prices & demand levels, volatile raw material prices and dumping by overseas players. Some domestic players have been forced to discontinue production in light of these tough challenges. However, Balaji Amines Ltd has been able to withstand such environment and is able to grow while keeping its debt levels under check by meeting most of its capex requirements from its internal cash generation. Overtime, Balaji Amines Ltd has attempted to expand outside its core business of Amines production and as a result, it has ventured out into the production of CFL lamps (Balaji Greentech Products Ltd) and hotel businesses. The CFL lamp business witnessed failure and has been shut and merged with the listed company (Balaji Amines Ltd) now. We believe that the structuring of the CFL business could have been done better to avoid the undue impact on minority shareholders, wherein the end the listed entity ended up bearing the burden of even the 34% stake held by promoters in the failed CFL venture. The hotel business seems to be producing much less revenue & profits for the amount of investment consumed in the construction and operationalization of the hotel. The management of Balaji Amines Ltd has depicted good management succession planning as well as good project execution skills until now. However, it remains to be whether the succession planning unfolds well in future and whether the company is able to improve its capital allocation record in non-core businesses going ahead. The promoter management of the company has been taking the highest possible remuneration allowed by the companies act and the structuring of the CFL business indicates that the odds are more in the favour of promoters than minority shareholders, which is also reflected in the final disposition of the failed CFL business. The profitability margins of Balaji Amines Ltd are much higher (almost twice) than its other Indian peers in Amines business, which demands further analysis by investors. This is further pertinent as the performance of the company is not on expected lines when compared to peers on some of the cost parameters like power & fuel costs. The company has faced two incidences of weak oversight/operational processes in the last year when it delayed the regulatory filing of purchase of shares by one of the promoters and delayed interest payment. It seems that the company needs to tighten the operational process at its end to avoid such incidences. We believe that going ahead an investor should keep a close watch on the profitability margins of the company, capacity utilization of the DMF plant along with the developments on the anti-dumping duty on the same, performance of the hotel business, managerial remunerations and start of any other venture by promoter management in future where promoter enter into partnership/venture with the listed company like they did in case of CFL business (Balaji Greentech Products Ltd) in the past. These are our views about Balaji Amines Ltd. 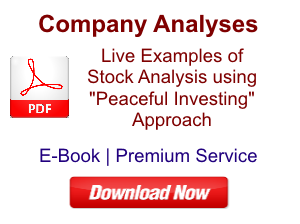 However, investors should do their own analysis before taking any investment related decision about Balaji Amines Ltd.